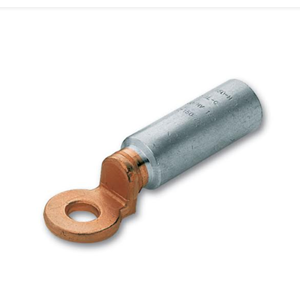 Cable Lug is an electrical component commonly called a cable shoe made of copper which is connected with aluminum with a friction system without auxiliary material so that a perfect connection occurs. Point to the aluminum cable terminals that will be connected with copper components. Aluminum Copper Bimetal is a lug cable used as electrical accessories. This product is one end usually used to connect cables, which can be soldered, welded, or crimped depending on the type. Is a connector mounted on the end of a cable that has been equipped hook hook. Designed to be easily installed and removed for repair or maintenance.